1/2" IT-3CCD Convertible Colour Camera. 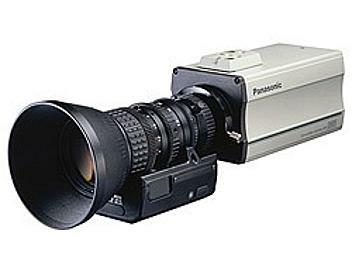 The AW-E650 features three 1/2" high quality CCD imagers and wide dynamic range of 400%. The camera is compact, lightweight, and power efficient. Auto tracking white balance and auto black circuits offer additional flexibility. WxHxL: 84 x 77 x 177 mm / 3.3" x 3.0" x 7.0"